User warning: The following module is missing from the file system: runcode. For information about how to fix this, see the documentation page. in _drupal_trigger_error_with_delayed_logging() (line 1156 of /home/client/public_html/shiftnetwork/shift.theshiftnetwork.com/includes/bootstrap.inc). We aim to create a sustainable, peaceful, healthy and prosperous world — what we sometimes call heaven on earth for shorthand. We hold a vision where, not only are everyone’s basic needs met while living in peace, but the very best in all of us is expressed and humanity’s full creative potential is set free. This is a world in which we know we are one sacred family and are united in our divinity, while celebrating our diversity. Undeniably, there are immense challenges on the road to this ‘better’ world and as Albert Einstein famously said, “You can never solve a problem on the level on which it was created”. Our intention is to share the very best in personal and societal transformation, so that together, step by step, we’re shifting the way we do things on this planet and creating a beautiful world that works for all. We call ourselves the Shift Network because it will take millions of connected, activated, inspired citizens to enact the changes that are possible. A network of inspired hearts, awakened minds, and dedicated souls. This is what we’re creating and we’re well on our way, having served over 1,300,000 people worldwide with customers in 170 countries and having featured over 1,000 thought leaders in domains as diverse as spirituality, peace, holistic health, psychology, parenting, enlightened business, indigenous wisdom, and sustainability. We’re committed to shifting our world, sober about the challenges that lie ahead, and inspired by what is possible. And of course, we’re so very grateful for your partnership in this important work. We believe that the way our organization functions must be a reflection of the world we’re wanting to create. ‘Check-in’ circles with all staff who work in the office every other week in which we share about our lives beyond work and the celebrations and challenges we’re facing. Our headquarters is located on a gorgeous retreat center (Earthrise Campus at the Institute for Noetic Sciences), surrounded by the beauty of Sonoma County, California. We are deeply committed to supporting the shift toward a planet that is healthy, sustainable, peaceful and prosperous for all and are striving to make an impact on multiple fronts. First and foremost is our transformational content designed to support you in accessing your full potential and bringing your gifts to the world so that together we shift things in profound ways. Every year we feature a vast array of free inspirational and educational content that covers a wide range of personal transformative practices as well as important social change topics. We also create over 70 in-depth courses each year, to which we give hundreds of thousands of dollars in scholarships so that transformational education can be available to all those who seek it. As we create our programming and grow the network, we strive to be a great place to work, one that values employee wellness, growth, and community service. Additionally, we believe that shifting the paradigm in business means that for-profit companies (like us) can and must consider overall social and environmental impact as a measure of how well we’re doing. We are committed to providing value to all our stakeholders — including people and the planet. To that end, we give a large percentage of our annual profits to charitable organizations. We have also allocated a significant amount of company stock toward nonprofits that are profoundly shifting our world. For more on this area of our work, please read below. For more about our social responsibility initiatives and practices, see our impact page. In partnership with the top transformative teachers on the planet, we design and publish in-depth programs for your growth, learning and impact in the world. Our programs have been taken by over 45,000 people from around the planet and cover the full spectrum of personal and social transformation. One unique feature that sets us apart from other e-learning companies is that along with recorded programs, we offer over 70 LIVE virtual courses each year, so you can interact with your teacher and the other students during your program to take your learning even deeper. We create transformative virtual events to help you live an extraordinary life and give your greatest gifts in inspired action. We create conscious media to inspire, inform and support your growth and connect you with important shifts happening on the planet. In the coming years we will be expanding this area of our work, offering videos and interviews from our team, our faculty and thought leaders to support your personal shifts, boost your impact in the world and keep you connected to the greater shifts that are unfolding. Beyond our virtual offerings, we also create in-person retreats and lead international transformative trips. While powerful learning and growth does indeed happen virtually, there is no substitute for being together in person and what becomes available with multiple days in a group to learn, explore and celebrate. Our retreats take place on the gorgeous northern California campus where our headquarters is located. They are deep immersive experiences with our top faculty. Our trips are transformative pilgrimages to significant areas of the world that catalyze growth, connection and deep inspiration. Not only do they include facilitated support in deepening your personal journey but they also include opportunities for service in local communities. Stephen Dinan – Founder and CEO, is also a member of the Transformational leadership Council and Evolutionary leaders. Stephen is a graduate of Stanford University (Human Biology) and the California Institute of Integral Studies (East-West Psychology). He helped create and directed the Esalen Institute’s Center for Theory & Research, a think tank for leading scholars, researchers, and teachers to explore human potential frontiers. As the former director of membership and marketing at the Institute of Noetic Sciences, he was the driving force behind the Shift in Action program and the One Minute Shift media series. 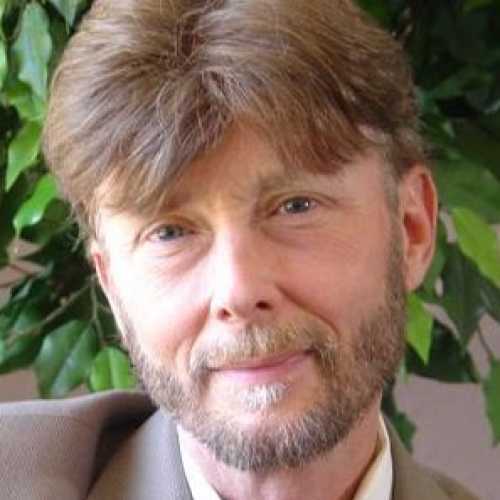 He is the author of Sacred America, Sacred World and Radical Spirit (New World Library). He has been a featured speaker at the World Cultural Forum in China, the Alliance for a New Humanity in Costa Rica, Renovemos Mexico in Mexico City, and the University of Cuenca in Ecuador, as well as many US conferences, events, radio programs, and online summits. Stephen lives in San Rafael, California, with his beloved wife Devaa. Rev. Devaa Haley Mitchell – Chief Transformation Officer, hosts Shift Network’s Inspiring Women Summit, facilitates our women’s programs, and designs facilitation and transformation strategies for many of our programs. 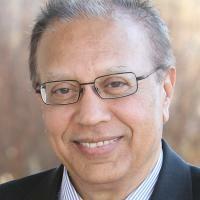 Devaa’s background includes roles in the public benefit sector (Director at Institute of Noetic Sciences and Exec. Director of Full Circle Fund), as well as the business sector (Boston Consulting Group). Devaa was ordained as an interfaith minister by the Chaplaincy Institute and received a BA and an MA from Stanford University. She was also awarded a fellowship from the Fulbright Foundation. 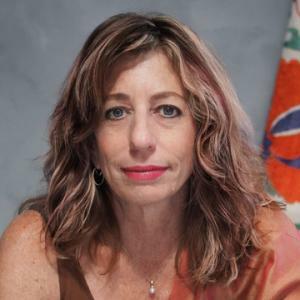 Lana Holmes – Chief Operating Officer, holds extensive experience in operations, sales, entrepreneurship and executive management including COO and CEO for a variety of startups and established companies including WebLogic, Xerox Business Systems and FarmsReach. A former professional athlete, Lana is a graduate of Penn State University and has been a lifelong learner and leader in transformational consciousness development. 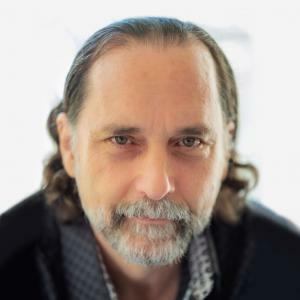 Craig Relyea – Chief Marketing Officer, brings three decades of experience launching new businesses and accelerating growth for Fortune 100 companies as well as startups. He has held executive positions at NBC/Universal, Dreamworks, LeapFrog and The Walt Disney Company, where he served as Senior Vice President of Global Marketing and helped grow Disney’s interactive group into a billion dollar division. Craig holds a BS in English Literature from UCLA and received his MBA from Arizona State University’s W.P. Carey School of Business. Holly Woods, Ph.D – Vice President, Transformational Learning, oversees The Shift Network’s evolving and expanding portfolio of transformational learning products and services. Bringing a wealth of experience in product development and design, Holly holds a PhD in Human & Organizational Development along with certifications as an Integral Master Coach, Purpose guide and Professional Mediator and Facilitator. She is an experienced entrepreneur, having helped build and scaled multiple businesses, all with purpose-driven missions to awaken and empower people to live their best lives. 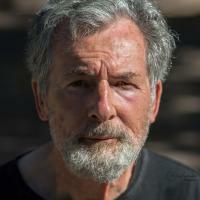 Philip M. Hellmich – Director of Peace, a globally renowned thought leader in creating a new narrative for peace, Philip brings over 25 years of experience in international development and conflict transformation including 14 years with Search for Common Ground. He also served for four years as a Peace Corps Volunteer in Sierra Leone where he lived and worked in small remote bush villages. A published writer, Philip recently published God and Conflict: A Search for Peace in a Time of Crisis. He serves as adviser to The Global Peace Initiative of Women. A long-time meditation practitioner, Philip enjoys studying and teaching about the parallels between inner and outer peacebuilding. Sylvia Fry – Director of Customer Support, is passionate about the awakening of humanity, evolution of consciousness in business, and has devoted her career to working in the transformational-education field. 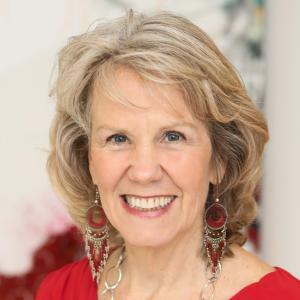 With a solid background in management and customer service, Sylvia believes the only way to truly succeed is by treating others how we ourselves wish to be treated, while living in a state of sacred reciprocity with the Earth. In her teens she became certified as an Empathy Counselor, was the youngest member of her city’s Crisis Intervention Task Force, and during college co-created a soup kitchen serving the homeless. Sylvia is blessed to live in the mountains of Northern California. The Shift Network is making important contributions in creating the global culture of peace and having a transformational influence on individuals through its Summer of Peace, World Peace Library, Peace Ambassador Training and other peace initiatives. It is playing a valuable role in creating and participating in strategic partnerships that amplify the strengths of multiple organizations in advancing specific peace priorities. The Shift Network's peace programs have been presented at the first United Nations High Level Forum on The Culture of Peace, convened annually by the President of the General Assembly. Its main focus on self-transformation of individuals creating the culture of peace from “inner to international levels” has accorded it the richly deserved credibility and well-earned recognition. I wish The Shift Network continuing and increasing success and expansion in the years to come. 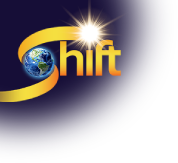 “I am continuously stunned by the depth of intimacy and transformational power of the Shift platform. "I really enjoy working with the Shift Network. They have a great system, exceptional people running it and an important purpose. I have conducted many programs with them and as an author and speaker they always provide an efficient and effective platform for me to share my work in a meaningful way." "The Shift Network is a highly ethical company run by deeply dedicated individuals, manifesting a noble vision that is urgently needed by the world. Their business model is inclusive and mandalic, meaning that it offers a win/win/win opportunity for everyone involved, from students to teachers to staff. Working with members of the team, I have found that the company is well managed, very efficient and staffed by high caliber, conscious individuals in every department. I have great respect and gratitude for what Stephen Dinan and the team at the Shift Network are accomplishing; I am honored to be a member of their growing faculty, and to have been invited to participate in their rapidly expanding global mission."